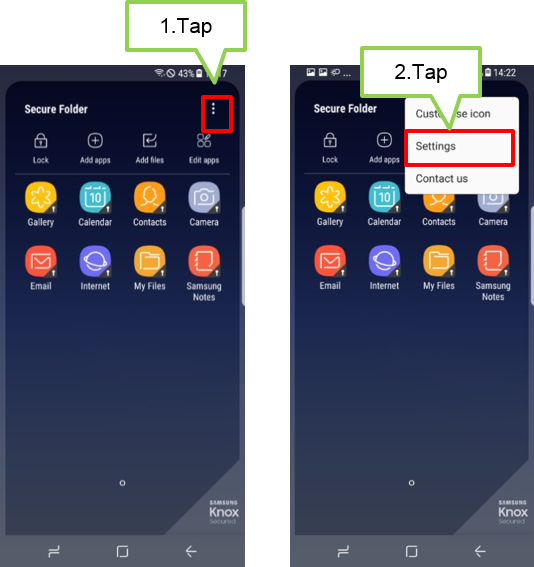 [Galaxy S8/S8+] Can I hide the Secure Folder shortcut from the Apps screen? You can hide the Secure Folder shortcut from the Home and Apps screens. 1. On Secure Folder main screen, tap More. 3. Tap the Show Secure Folder switch to deactivate it. 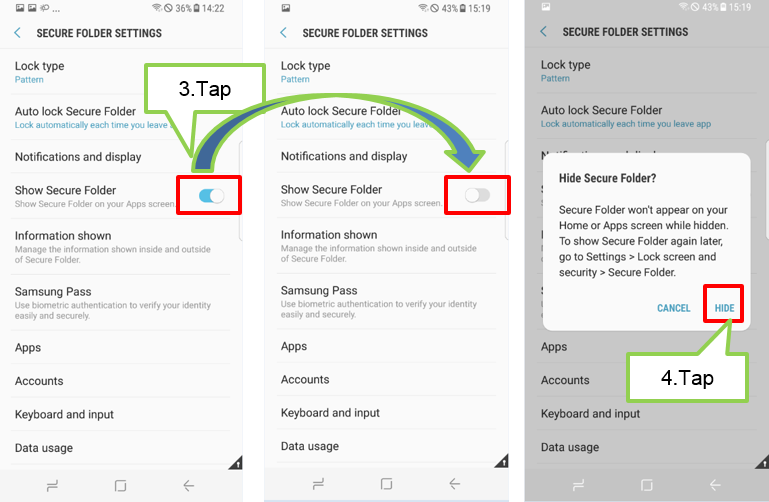 panel and tap Secure Folder to deactivate the feature.